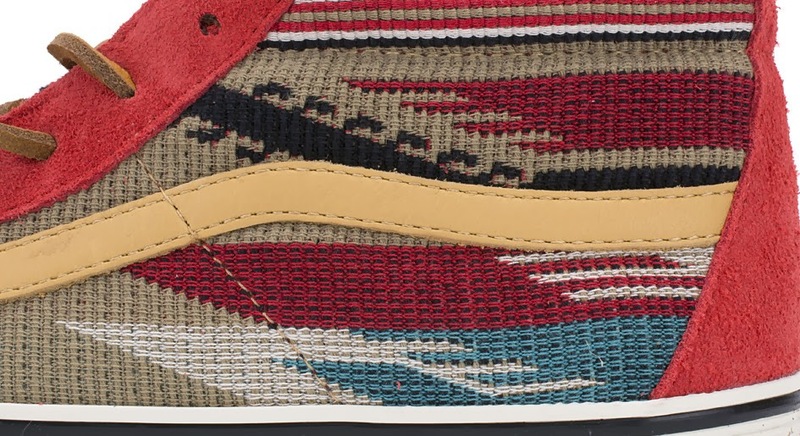 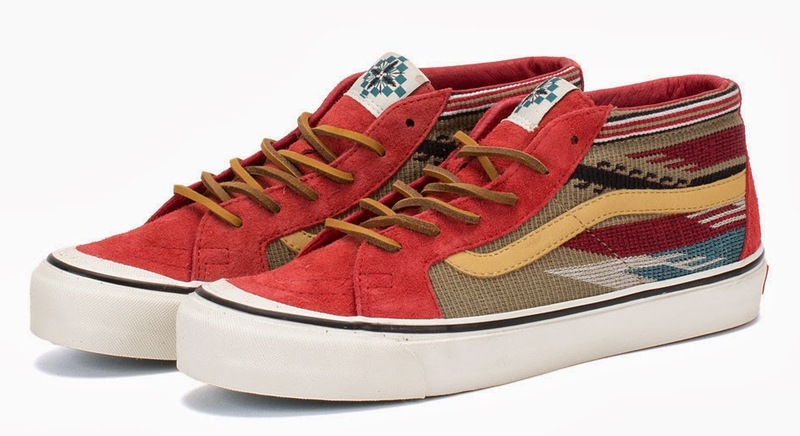 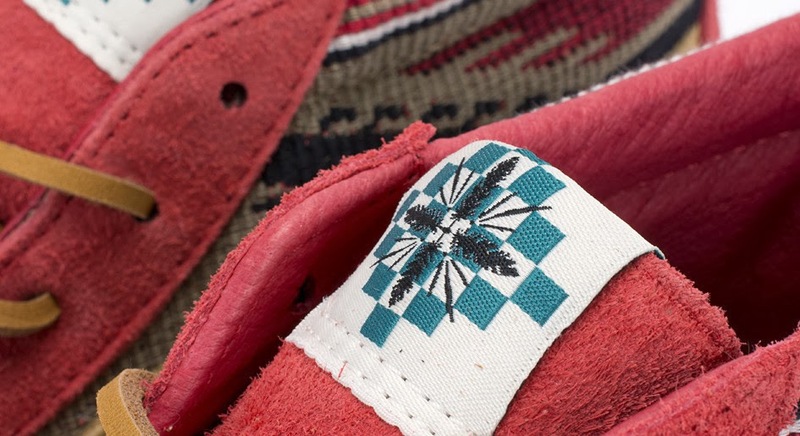 Vans Vault is up to another great on-going collaboration with Taka Hayashi. 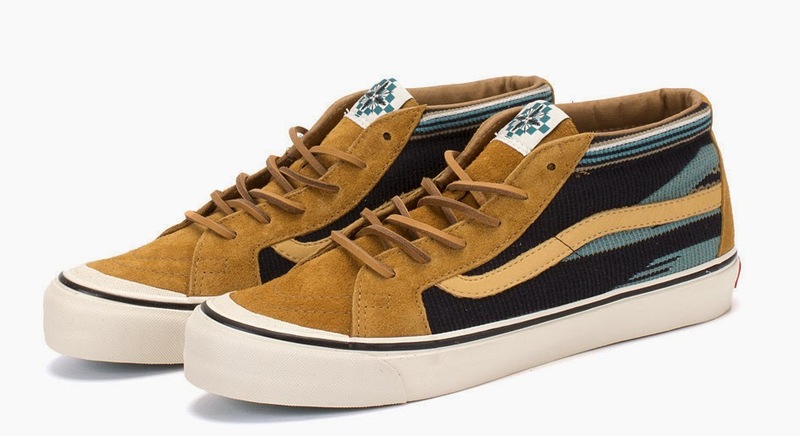 This round, the Sk8 Mid LX gets a makeover. 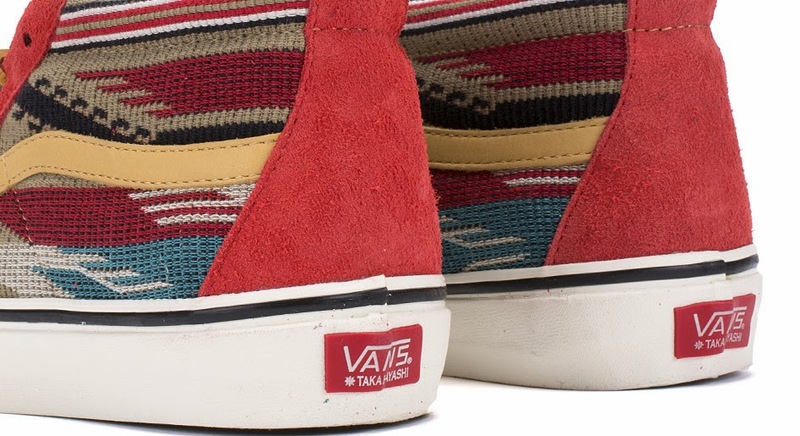 Color and intriguing print usher in with a Mexican-printed Chimayo pattern. 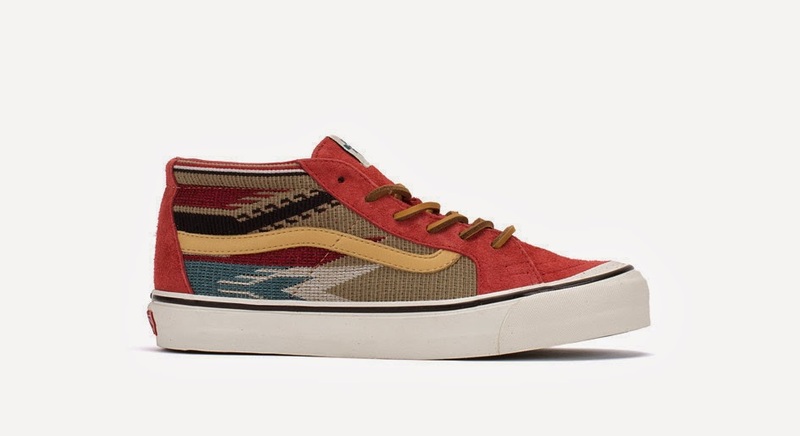 Then special details like a wispy suede upper, leather Vans stripe and leather laces make this a nice shoe to go with a versatile spring wardrobe and accessories, some of which may in include a skateboard. 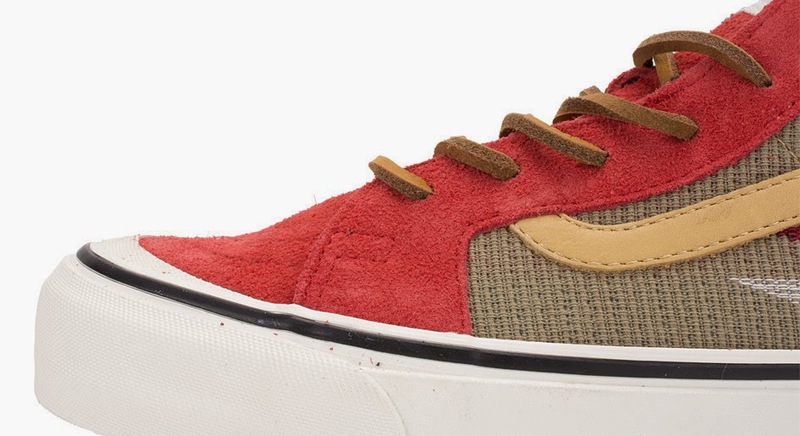 Available now in the two color-ways of Formula One and Golden Brown at BowsAndArrowsBerkeley.